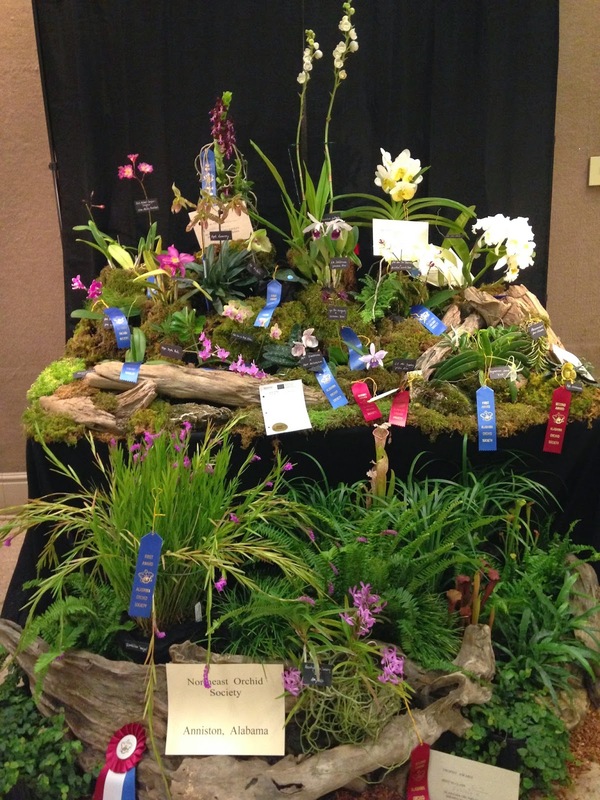 The Northeast Alabama Orchid Society participated in the Alabama Orchid Society annual Show and Sale Sept 19-21 2014 at the Birmingham Botanical Gardens in the auditorium of the Pavilion Building. NEAOS was originally putting in a 25 ft tabletop society display, but because of the amount of plants provided by our members, we expanded it to a 50 ft max society display. 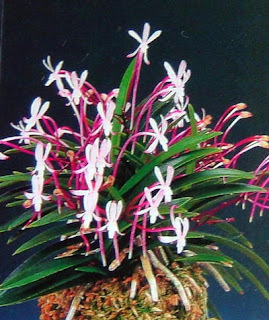 The NEAOS was honored to received an 83 point American Orchid Society (AOS) Show Trophy, the Orchid Digest Show Trophy, two individual orchid plant show trophies, 14 blue ribbons, and 5 red ribbons. The Northeast Alabama Orchid Society of Anniston, AL is pleased to announce that Tom Harper of Stones River Orchids of Franklin Tenn. will be presenting a free program at the Anniston Museum of Natural History www.annistonmuseum.org on Oct. 13th at 2:15pm in the museum auditorium. 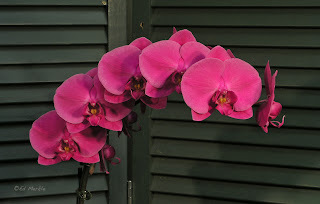 This program focuses on the latest breeding in Phalaenopsis Orchids from Taiwan. Each of the major flower colors are featured showing their characteristics from their award pictures at the Taiwan International Orchid Show. This program was completed earlier this year following a trip to the International Orchid Show in Taiwan as a participating orchid judge. In addition to a great program, Tom will be bringing some really well grown and blooming Phalaenopsis orchids for sale. Hope to see you all there! Congratulations to our newest member, Bloyce Arnold of Talledega, AL on his blue ribbon at the Alabama Orchid Society orchid show with his beautifully flowering Cattleya Chong Guu Swain White Bow Bells. Dtps Merry Musick, owned by Becky and Junior Coxwell, received an 80 point AM/AOS award at the Alabama Orchid Society orchid show in Birmingham, Alabama Sept. 21-23, 2012. This orchid is a cross between Dtps Musick Surprise x Dtps pulcherrima alba. It was hybridized by Mary and Fred Kaufman of Huntsville, AL. Its cultivar name will be determined at a later date.